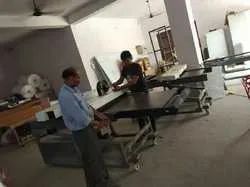 We, Dizario Machinery are well-known organization affianced in Manufacturer and Supplier of Anilox Coating Module, Roller Coater Machine, Screen Printing Machine, Table Top UV Curing Machine, UV Conveyor, Auto Hood Lifting UV Curing Machine and UV Curing System Machine. Factory-made in agreement with set quality standards at our premise, offered range is very much appreciated amongst valued clients for their durability, designs, longer life and rust proof nature. Premium quality raw material along with latest technology is used in designing of these products to uphold their harmony with set quality standards. Furthermore, these products are checked on various quality constraints before finally offering them to valued clients. Supported by experienced team of professionals, we are proficient of accepting the requirements of clients specifically. These professionals are selected from the best endowments there in the industry. Along with this, our administration teams hire these personnel on several stages before finally appointing them. Furthermore, with the time our skilled specialists keep upgrading their information and knowledge to support their association with the quality range of products. We have gained highest rank in this industry under the leadership of our mentor Mr. Mohammed Asim. His business aptitude, quality managing and a will to achieve the highest position in the industry has aided us in gaining top place across the market. In addition, he always motivates us to work in synchronization to finish all organizational goals in time. Since inception we have a goal to offer respected clients with exceptional quality products. Developed by qualified experts by making use of premium quality material, we ensure that these products are offered to clients as per the specifications given by them. Along with this, our nonstop efforts in meeting with customer demands have helped us in gaining a step ahead over competitors there in the marketplace. 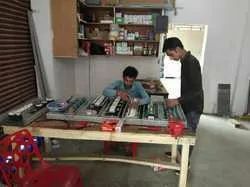 Our quality managing team permits us to make a quality array of products, which are developed by capable authorities with great accuracy. To uphold quality norms our products are developed by using fine quality raw material and most up-to-date technology. In addition, the complete range is checked on various quality constraints prior to final deliverance at respected clients’ premise. We provide weather proof packaging of these products so that products are delivered safely at clients premise and products don’t lose their finish.